Animal fact file : a guide to the culture and care of animals in Italy. Animals in Italy are an important part of Italian culture. We have written our pages on animals, pet care and pet health in Italy based on our own experience of taking our dogs and keeping cats there. Together, they're a comprehensive dossier which will help you to understand a bit more about Italy, and where and how Italian animals fit into Italian culture. 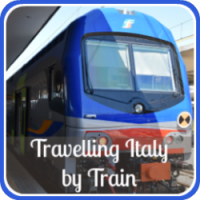 Culture in Italy and some strange animal facts. Although the world tends to think of the British as animal lovers, a recent study shows that concern for the welfare of animals in Italy is actually more widespread : 85% of the Italian population were shown to be actively concerned about animal wellbeing compared with 75% in the UK and 65% in France (source - Kjaernes, Lavik and Kjoerstad, 2005). Animal protection organisations are active throughout Italy and one of only two European centres for animal welfare is based in Termo. 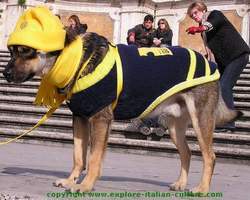 But there has always been a conflict within Italian culture and traditions in the way animals are viewed and treated. Modern laws at the same time impose heavy penalties on pet owners who mistreat goldfish, but allow wild beasts to be used in circuses. Italian animals are protected from docking which is illegal, and electric dog collars which are banned, and in March 2009 animal activists released six thousand pheasants from a farm which bred them for hunting purposes. And yet, every year thousands of animals in Italy are abandoned in the summer months when owners go on holiday. Animals have also played their part in Italian superstitions and rituals, both good and bad. It's considered lucky to hear a cat sneeze in Italy but bad luck to have a black cat run across your path. It's bad luck to keep birds in a house but fine on a balcony; peacock feathers are the worst possible omen but it's a good sign if a bird poops on your shoulder or if you step in dog poop. And whilst horses are cared for as working animals in the country, fifty have been killed since 1970 in one of the most famous of all Italian traditions : Siena's 'palio'. Animal Fact File : Italian culture and traditions past and present. We know from ancient writings and archaeologists' findings in places like Pompeii that animals have always played a central role in Italian culture and traditions, whether as working animals or as pets. But what should you expect of modern day attitudes towards Italian animals? Is it different in the country and the city? Is it true that city dwellers have become as obsessed with their pets as pet owners in some other countries? Go to any Italian city and you will find dogs hanging out with their owners in cafes, watching the world go by. You'll see them cuddled up to homeless people in doorways or carried by kids begging at restaurants. 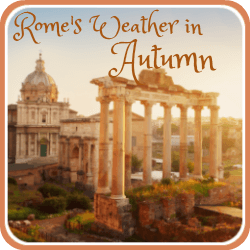 Watch out in Rome for dogs zipping round on the floorboard of Vespas, eating specially made pasta-based dog food or doggy ice cream, or dressed to kill on the Spanish Steps. Italian animals, like their owners, coexist among the wonderful chaos of modern life in ancient cities. 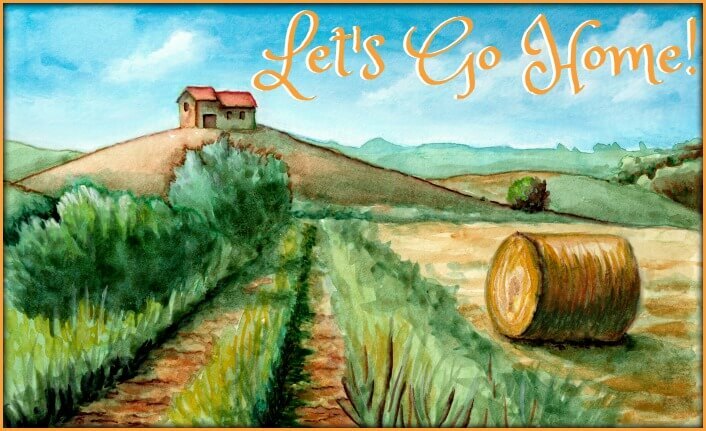 So in the links on this page you will find all the information you need to know about animals in Italian culture and traditions past and present : unusual animal facts, interesting animal facts, funny animal facts, strange animal facts, animal facts for kids; taking your pets to Italy, places to visit in Italy with your pets, caring for animals in Italy. So - click on these animal fact file links, read, learn, and above all - enjoy! 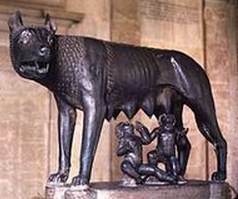 Rome's symbol - the she-wolf suckling Romulus and Remus. Traditions involving animals in Italy go back thousands of years and are usually linked with religion, fear, famine or disease. It's probably not surprising that, in a city whose symbol is a she-wolf, animals have always been important. In this section you will learn some amazing (and some strange!) animal facts about animals and their links not just with a city but with an Empire. These are animal-centered facts about Italy and its history : ancient Roman culture, ancient dogs and their similarity to modern dog breeds; animals in ancient Roman architecture and art; and the answers to the kind of strange animal facts kids love to hear - such as "is it true that lions really did eat people in the Colosseum?" Or perhaps even more bizarrely, "what does a famous English brand of tea have to do with ancient Roman animals? Fun facts about Italy and Italian animal culture. 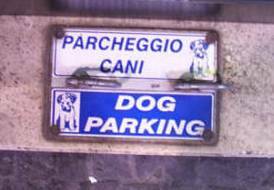 Rome has so many dogs it has its own specially designated dog parking places. It's not a commonly known fact that there are about one hundred and fifty thousand dogs and three hundred thousand cats in Rome alone - seven million dogs in Italy as a whole. Animals in Italy are a huge part of Italian life. Language, proverbs, cats, dogs, frogs, mice ... the Italian treatment of animals tells us a lot about Italian culture, people and life. So here's a page with ten fun animal facts answering such eccentric questions as : Why do goldfish have rights in Rome? What's the Pope's view on black cats? Why did dogs take over from pigs in hunting for Italian truffles? 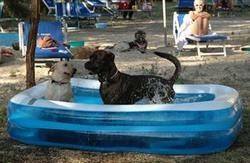 And how do pets keep cool in the hot summer climate of Italy? "I've seen a look in dogs' eyes ... and I am convinced that basically dogs think humans are nuts." 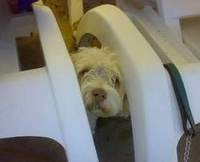 A Lagotto Romagnolo shelters from the sun on Rimini dog beach. The climate in Italy, like the climate in the rest of the world, is warming. It is now not unusual to have temperatures of 40 degrees plus in July and August. Animals in Italy - even those used to being there - can struggle with that level of heat. If you are taking a pet to Italy who is not used to the sun you may both end up in real trouble. But it doesn't have to be a problem. This page looks at Italy's climate and its effects on animals. There are details about sun stroke and heat stroke in animals : the difference between them, the main causes, pets' symptoms, and most importantly, what to do if your pet gets sun stroke - not to mention some more fun animal facts for kids - like what dogs and cats do instinctively to avoid problems with heat. Read, take note, and enjoy your time in the sun with your pet! Doggy eye care? Sunscreen for pets? Paddling pools for dogs? Has the world gone mad?? We asked ourselves the same question when we researched possible problems in taking our greyhound to live in Italy. The answer we eventually came up with was - it's not mad at all. Read the previous page and you'll see how dangerous the sun can be for animals in Italy. 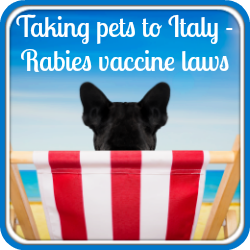 On this page you'll find twenty easy to follow tips on how to prevent your pet being affected by the Italian climate based on our own experiences of having both a dog and cats in Italy. 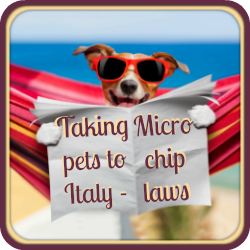 If you're thinking of taking a pet on vacation to Italy, or taking your pets to live there, this animal fact file page will help you prepare so that you avoid any problems when you arrive. Read, plan, then relax and enjoy the sun. Beach life has always been an important feature in Italian culture but it's one of the clashes between the Italians' love for animals and their disregard for their welfare that in the summer months, thousands of pets are abandoned while their owners go on holiday. This is often because they can't find pet-friendly places to visit in Italy, most beaches not allowing animals near them. To try to avoid this happening a project opened at Bau Beach, near Rome, making the beach more pet-focused so that Roman animals, and later animals from all over the country, had somewhere to go on holiday with their families. This project to make Italy beaches animal-friendly was such a success that it spread all over Italy and there are are now a number of specific dog beaches dotted around the coast. This fun animal fact file page tells you all you need to know about where five of the best Italian beaches for pets are and what facilities each of them has not only for animals but for the rest of the family : which is the most eccentric, which has keep fit classes for dogs, which shows animal-themed films, which has a doggy restaurant, which can teach your dog to be a life-guard. It also covers beach cleanliness, and what beach etiquette in Italy involves. 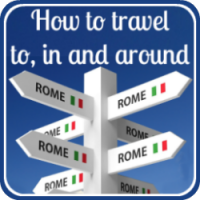 Read and learn where to visit in Italy to have the most fun for the whole family. This Italian sheepdog will grow up to be a valuable working dog. Our neighbours in rural Italy think we're mad to keep a dog as a pet. As far as they're concerned, dogs are working animals. Of the seven million dogs in Italy many are working dogs rather than house pets. But Italian dog breeds are becoming popular around the world and even working dogs are used in other countries as pets and show dogs. The following pages look at three distinct Italian breeds of dog : large, medium and small animals each of which can make different contributions to your family. 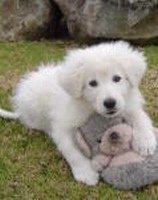 This page looks at Italian sheepdog breeds, in particular two of most popular : the Bergamasco dog and the Maremma dog. It describes their history, character and uses and answers questions like : is living with a sheepdog a good experience for kids? Can Italian sheep dogs be kept in the city? Can they be used as show dogs? And what could an Italian sheep dog and a group of penguins have in common? Read, and if you're thinking of buying an Italian sheepdog, use this page as a dog breed selector before you decide. This is probably our favourite of all Italian dog breeds. The Italian Griffon is more commonly known as the Spinone Italiano and is one of the original Italian hunting dogs. When working he is the most serious of animals but when not, he is one of the most engagingly fun-loving dogs in the world. This page contains some funny animal facts combined with basic information about this dog breed, book recommendations, and a link to the breed website. It answers questions such as how much does a Spinone cost? How big will he grow? How easily trained is he? And it tackles the issue of the disease Cerebellar Ataxia - how to spot it and whether you should worry about it. Read, watch the heart-warming video of Spinones at play, and enjoy. Italian greyhounds are a popular toy breed in Italy. 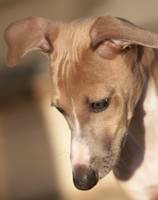 Toy dogs are becoming increasingly popular in Italian culture and the miniature greyhound is one of the most well loved. This page answers questions like is there a difference between an English (or Irish) greyhound, an Italian greyhound and a miniature Italian greyhound? Why is this Italian hound one of the most popular of Italian animals? Who will be the pack leader if you have a miniature greyhound in the home? Would this urban dog become neurotic cooped up in a city apartment? What is the connection between the miniature Italian greyhound and the Russian royal family? And why would you need sturdy furniture with an Italian greyhound in the house? Read this animal fact file and decide whether a miniature Italian greyhound is the dog for you. More pages you may like.